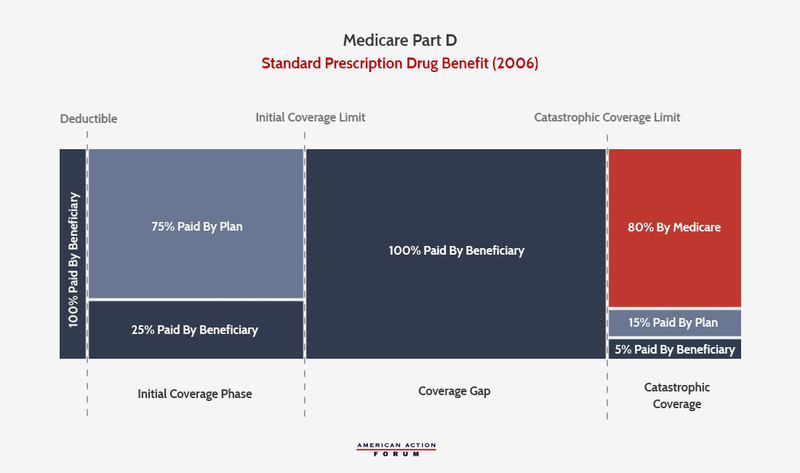 Medicare Part D reinsurance expenditures have grown rapidly for the federal government over the past several years, primarily because of a significant increase in both the number of beneficiaries reaching catastrophic coverage and the costs that each of them incur. This rapid growth has caused reinsurance expenditures to increase from less than one-third of the federal government’s subsidy of the Part D program in 2007 to more than two-thirds of the subsidy in 2016. Increasing drug prices are responsible for a significant portion of this increase, but policies and perverse financial incentives affecting the benefit design and insurers’ formulary decisions are also to blame. As more costs shift to catastrophic coverage, the federal government’s overall spending increases, yet fewer dollars are available to directly subsidize beneficiary premiums. MedPAC previously recommended several changes to the Part D benefit structure to address these concerns, but recent congressional action and the continued increase of drug costs warrants the consideration of more fundamental reform. This paper examines a new proposal that would restructure the standard Part D benefit in a way that realigns incentives—placing greater financial risk for high-cost beneficiaries on both insurers and drug manufacturers—while also protecting beneficiaries from catastrophic financial risk through the imposition of an out-of-pocket cap. These changes are likely to lead stakeholders to alter their behavior in ways that reduce overall Part D expenditures for all stakeholders and ensure the program’s continued success. The Medicare Part D program provides Medicare beneficiaries with access to subsidized prescription drug coverage. In 2017, 44.5 million seniors (or 76 percent of all Medicare beneficiaries) enrolled in Part D, and just as for the rest of the Medicare program, enrollment—and therefore the program’s cost—is expected to increase each year for the foreseeable future. All Part D plans are offered by private insurers who contract with the federal government and are required to meet federal standards related to comprehensiveness and affordability of coverage. The federal government subsidizes roughly three-fourths of the program’s costs, so as spending increases, so does the federal government’s subsidy and the burden on taxpayers. 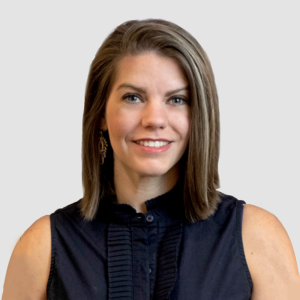 While the program has been largely successful, certain trends over the past several years have highlighted the need for reforms to eliminate perverse incentives. This paper examines the incentives created by the current Part D structure and some proposed reforms. It also examines the incentives that a new structure would create. Spreading the risk for high-cost beneficiaries to insurers and drug manufacturers, while capping the liability of beneficiaries, could induce behavioral changes that lead to lower costs for all parties, it concludes. Since the implementation of Part D in 2006, the program has undergone a few changes to its standard benefit design. The standard plan features elements that are similar to a typical health insurance plan, including a deductible, in which the beneficiary is responsible for all costs until the deductible is met, and an initial coverage phase, during which the beneficiary is responsible for 25 percent coinsurance and the insurer pays the balance. Once the beneficiary’s expenditures exceed that initial coverage limit (ICL), however, the beneficiary enters what has historically been known as the “coverage gap” or “donut hole.” In the original standard plan, patients with expenditures beyond the ICL were required to bear the full cost of their drugs until their expenditures reached the catastrophic coverage threshold, at which point federal reinsurance coverage kicked in. At this point, the beneficiary pays 5 percent of costs for the remainder of the year, while insurers pay 15 percent and the federal government pays 80 percent. The first major reform to the standard benefit structure came through provisions in the Affordable Care Act (ACA) that sought to “close the donut hole” in order to reduce beneficiary’s out-of-pocket (OOP) costs. (These changes do not apply to low-income subsidy (LIS) beneficiaries, since the federal government pays the majority of their costs and thus they do not need additional OOP cost protection.) The ACA gradually increased insurer liability in the coverage gap for non-LIS beneficiaries and simultaneously decreased beneficiaries’ coinsurance rates so that, by 2020, the beneficiary would have a constant coinsurance rate of 25 percent both before the ICL and afterward in the (now misnamed) coverage gap. For generic and biosimilar medicines, insurers will pay the remaining 75 percent. The charts below illustrate the ACA’s changes to the coverage gap for generic and biosimilar medicines. For brand-name medicines, drug manufacturers were required to begin immediately providing a 50 percent discount on their drugs provided during this phase of coverage to all non-LIS beneficiaries, and the insurers would eventually pay 25 percent of the cost, leaving beneficiaries with only 25 percent to cover. This change is illustrated below. Because the new manufacturer discounts apply toward a beneficiary’s “True OOP” (TrOOP) calculation (which is used to determine when beneficiaries move from one phase of coverage to the next), more beneficiaries reached catastrophic coverage and they did so more quickly. The law also temporarily slowed the growth rate of the catastrophic coverage threshold, which also resulted in beneficiaries reaching catastrophic coverage more quickly. In 2020, the threshold will return to where it would have been had this temporary change never been included in the ACA. As a result, the catastrophic coverage threshold is scheduled to increase sharply from $5,100 in 2019 to $6,650 in 2020—a 30 percent increase. The next major reform to the program’s benefit structure came in the Bipartisan Budget Act of 2018 (BBA). Proponents touted this reform as further reducing drug costs for patients, although most of the benefits to beneficiaries are much less direct than the benefits received from the ACA’s changes. This legislation increased the mandatory drug manufacturer rebates provided in the coverage gap from 50 percent to 70 percent. The law also required biosimilar manufacturers to provide these discounts. These enhanced rebates were used entirely to reduce the insurers’ liability in the coverage gap for brand-name and biosimilar medicines to 5 percent from 25 percent, rather than further reducing patients’ OOP responsibility. For generic drugs, the cost-sharing will remain the same. The BBA also moved up by one year when beneficiaries have a 25 percent coinsurance rate, from 2020 to 2019—the only direct benefit to beneficiaries in the BBA. High-cost beneficiaries will see a slight, if indirect, benefit by moving through the coverage gap more quickly (since the manufacturer rebates included in the calculation of a beneficiary’s TrOOP will increase by 40 percent) into catastrophic coverage where coinsurance is only 5 percent. Beneficiaries should also benefit from a slight reduction in premiums that should result from the decrease in insurer liability. The new standard plan for brand-name drugs and biosimilars after the ACA and BBA’s reforms is illustrated below. The Part D Program has long been hailed as one of the few federal government programs that has, since its inception, cost significantly less than originally projected. While that fact remains true, the program’s costs have been growing more rapidly in recent years, and some concerning trends have come to light. Overall program expenditures grew at an average annual rate of 6 percent between 2007 and 2016, primarily because of the rapidly increasing cost of providing benefits to high-cost enrollees as well as the steadily rising number of beneficiaries considered high-cost. Expenditures for high-cost enrollees—those individuals who reach the catastrophic coverage phase—rose at an annual rate of 10.4 percent between 2010 and 2015, while average expenditures for the remainder of enrollees actually declined by an average of 2.1 percent each year during that period. Consequently, spending above the catastrophic threshold has also been rising more rapidly over this period, relative to before 2010: 26.6 percent compared with 12 percent previously. As a result, high-cost enrollees accounted for 57 percent of program expenditures in 2015, despite being only 28 percent of beneficiaries. Analyzing differences in trends between high-cost LIS and non-LIS beneficiaries provides additional insight into the drivers of growing catastrophic costs. While non-LIS beneficiaries still account for less than 30 percent of all high-cost enrollees, the share of non-LIS beneficiaries reaching catastrophic coverage has grown much more quickly over the past several years than that of LIS beneficiaries: 21 percent since 2010 versus 6 percent. This difference is not entirely surprising given that enrollment growth in the Part D program has been greater among non-LIS than LIS individuals: 22 percent compared with 16 percent. Total annual spending for non-LIS high-cost enrollees has grown substantially more than for LIS high-cost enrollees, as well. Spending on non-LIS high-cost enrollees increased from $10,300, on average, in 2007 to $27,052 in 2015. LIS beneficiaries had similar expenditures in 2010 ($10,570), but by 2015, their annual spending averaged 39 percent less than that of non-LIS beneficiaries at just $19,482. This difference is largely attributable to the different types of drugs—and the prices of those drugs—used by the two groups. While the average high-cost LIS enrollee took 18 more prescriptions than the average non-LIS high-cost enrollee in 2015, their average price per prescription was more than $100 less. A recent study found that the most common types of medicines used by LIS beneficiaries (excluding drugs to treat hepatitis C, which is commonly used and represents a large share of spending among both LIS and non-LIS high-cost beneficiaries) are for mental health, diabetes, HIV/AIDS, and pain, and the average 30-day price of the four most commonly used drugs was $278. Non-LIS beneficiaries who reached catastrophic coverage were more likely to use medicines for treating cancer, multiple sclerosis, rheumatoid arthritis, and pulmonary hypertension, and these medications’ average 30-day price was $5,018. Further, the prices of the four drugs most commonly used by high-cost non-LIS beneficiaries increased 16 percent annually, on average, compared with 5 percent average annual increases in the prices of drugs used by LIS beneficiaries. In fact, 16 percent of non-LIS beneficiaries who reached catastrophic coverage in 2015, did so after filling a single prescription. The growth in the number of high-cost enrollees and the cost per high-cost enrollee not only increases the federal government’s cost to subsidize the program, but also changes how the federal government subsidizes the program. This rising spending has led to a dramatic increase in the share of the federal government’s subsidy being paid through reinsurance rather than premium subsidies: Reinsurance payments accounted for less than one-third (31 percent) of the federal government’s share of the program’s cost in 2007, but more than two-thirds of the cost in 2016 (68 percent). One common misunderstanding is the belief that the federal government covers 74.5 percent of premiums and 80 percent of the costs incurred in the catastrophic phase. While the program was originally designed to operate that way, in reality the federal government is supposed to cover 74.5 percent of all program costs (excluding beneficiary cost-sharing, LIS cost-sharing subsidies, and the coverage gap rebates), and that percentage must be split between the direct premium subsidy, the additional low-income premium subsidies, and the reinsurance costs. In order for this percentage to remain fixed, the federal government’s premium subsidies (also known as “direct subsidies”) must decrease as reinsurance costs increase. This cost-shifting can be seen in the following chart from the Medicare Payment Advisory Commission’s (MedPAC) March 2018 Report to Congress, showing the government’s declining direct subsidy of the premiums and increasing reinsurance subsidies, as well as the base premium paid by beneficiaries. It should be noted that this overall subsidy rate is not set in law, and in most years the federal government has actually covered more than 74.5 percent of the program’s costs. According to MedPAC, the government has paid more because of a difference in how insurers and the federal government reconcile the government’s prospective payments for costs in the reinsurance stage versus the rest of the program when actual expenditures differ from projections. The reinsurance subsidies are fully reconciled at the end of the year based on actual spending in the catastrophic phase, rather than estimated costs. This means that at the end of every year the federal government ensures it has covered the full cost of expenses incurred in the catastrophic phase beyond the 15 percent of expected catastrophic costs that insurers incorporate into their bid for providing the basic benefit. In contrast, the government’s direct premium subsidies, which are based on an insurer’s assumptions of its expected costs to cover the basic benefit, including 15 percent of costs in the catastrophic phase, do not have to be reconciled as long as the difference between actual and projected spending is within an allowed range. In other words, plans may underestimate their catastrophic coverage expenditures and be made whole for most of their additional costs, and overestimate their other expenditures without having to pay back all of the excess premium subsidies. The result is that rising catastrophic costs spill into rising overall program costs. Rising drug prices and the shift toward more expensive drugs has certainly contributed significantly to this increase in catastrophic coverage expenditures, and will contribute more going forward. To be fair, it shouldn’t be entirely surprising that prices have risen as much as they have over the last several years, as numerous policy changes have increased the cost of selling drugs and decreased the amount of revenue earned per drug sold, as explained here. The BBA is set to decrease revenue even further for brand-name and biosimilar drugs, which may consequently lead to even further price increases. That said, this cost growth certainly does not justify every price increase or the extent of those increases. Some drugs have experienced astronomical price growth and have appropriately been targeted for criticism. A significant amount of the increase also results from the ACA’s reforms. Having manufacturers’ coverage gap discounts count toward a beneficiary’s TrOOP expenditures as well as slowing the growth rate of the catastrophic coverage threshold both caused more beneficiaries to reach the coverage gap and to do so more quickly, as explained here. These reforms also set up an incentive for insurers (or the pharmacy benefit managers (PBMs) working on their behalf) to prefer drugs with a higher list price and greater rebates offered after the point of sale (POS). These high-cost, high-rebate drugs accelerate beneficiaries through the coverage gap and into the catastrophic phase: Beneficiaries’ coinsurance payments are based on the list price rather than the lower net price insurers pay once all rebates are accounted for, causing their coinsurance payments to be higher and them to reach the TrOOP threshold more quickly. And in the catastrophic phase, insurers covered much less of the cost (at least before the BBA’s changes). Additionally, because these rebates are paid after the point-of-sale and only retroactively reconciled with the government’s subsidy payments to plans, plan sponsors can use them to lower their premiums and attract more enrollees. While lower premiums benefit all enrollees to a degree, they primarily benefit lower-cost enrollees at the expense of the higher cost enrollees taking the more expensive drugs that yielded the rebates in the first place. Essentially, post-POS rebates are being used in a way that flips the traditional insurance model on its head and results in high-cost beneficiaries subsidizing lower-cost beneficiaries. Both shifting spending to the catastrophic phase and the provision of more rebates post-POS allows premiums to be lower than they otherwise would be, which allows plans to compete for enrollees with lower premiums. Simultaneously, the risk corridors shield insurers from financial loss if the costs of providing the basic benefit are greater than expected and allow them to keep additional profits if costs are less than expected. Evidence of insurers gaming the system in this way is limited, but MedPAC reported in June 2015 that a growing number of plan sponsors were having to repay a portion of premium subsidies because their actual costs were at least 5 percent below their bid. As drug prices continue to increase, so will the incentives for insurers to take advantage of these options, and it could become more likely that the federal government’s subsidy will surpass its intended rate. Prior to passage of the BBA, the Medicare Payment Advisory Commission (MedPAC) had proposed reforms to the Part D benefit design—which President Trump’s FY2019 Budget reflected—specifically targeted to stymie the rising costs of reinsurance. These reforms were designed to put an end to the incentives that led various industry players to exploit the program’s design to maximize their profits, often to the detriment of the beneficiary and the taxpayer. Such behavior has led to market distortions and has highlighted the ways the program’s benefit structure creates unintended, perverse incentives, as discussed above and further explained here. Unfortunately, the changes included in the BBA will lead to even more beneficiaries reaching catastrophic coverage, making the problem worse and the need for reform even greater. Analysis by the American Action Forum (AAF) found that MedPAC’s proposed reforms will no longer produce the desired outcomes. Under current law, including the BBA’s reforms, insurer liability will decline, on net, by an estimated $1 billion in 2019, primarily because of the reduced liability they will face in the coverage gap. The enhanced rebates will push more beneficiaries into catastrophic coverage, and will do so more quickly, increasing the insurer’s liability in the catastrophic coverage phase and the federal government’s reinsurance costs. MedPAC’s proposed reforms, if implemented without the BBA’s changes, would result in a substantial increase in insurer liability—though not because of increases in spending in the catastrophic phase. Rather, the increase in insurance liability is due to a substantial spending increase in the coverage gap as a result of the manufacturer’s coverage gap discounts no longer counting toward beneficiaries’ TrOOP costs. The combined effect of these proposed reforms now that the BBA has been signed into law would be that so few beneficiaries ever reach the catastrophic threshold (because of the TrOOP change) that the increased incentive for insurers to keep costs down (by dramatically increasing their liability in the catastrophic coverage phase) will be significantly reduced. Overall insurer liability would decline by 24 percent, making the existing problem even worse. Continued growth in drug prices further exacerbates the problem. Thus, reforms are still needed, but the existing proposals must be modified to change the incentives of both insurers and drug manufacturers. One possible reform includes placing a true cap on beneficiary OOP expenditures, eliminating the coverage gap phase entirely and instead requiring drug manufacturers to pay rebates during the catastrophic phase, reducing the federal government’s reinsurance rate and increasing plans’ liability in the catastrophic phase. The manufacturer rebates would continue to be paid only by brand-name and biosimilar manufacturers but would be extended to LIS beneficiaries. For generics, insurers would cover the remainder of the cost such that the federal government’s reinsurance rate remained constant regardless of which type of drug was used. This structure was recently modeled by the actuarial consulting firm, Milliman. Their analysis modeled four different scenarios, each with a different maximum OOP (MOOP) threshold: $2,500, $3,000, $3,500, and $4,000. As shown in the analysis, the program’s financing structure is such that, without any behavioral changes and holding pharmaceutical companies harmless relative to current law, any adjustments to the benefit design that would reduce the federal government’s costs result in equal increases in overall beneficiary costs, and vice versa. This occurs because the federal government’s financial liabilities exist on all sides of the program, and as discussed, the federal government is supposed to cover 74.5 percent of the program’s basic benefit costs. Whenever the needle is moved to reduce federal government reinsurance expenditures, those costs shift to the plan sponsors who consequently increase their premium rates to account for the increased catastrophic liability, which results in increased premium subsidies paid by the government. The federal government also covers the majority of the cost-sharing and premiums for LIS individuals. The majority of individuals who reach the catastrophic phase are LIS beneficiaries, and so while an OOP cap reduces federal government expenditures on cost-sharing for LIS beneficiaries just as it saves money for other high-cost beneficiaries, these savings are also largely offset by the additional increased LIS premium subsidies. Thus, the only way to save the federal government money is to reduce overall program expenditures. And the only way to reduce program expenditures is to shift more cost to the beneficiaries or enhance the incentives of both drug manufacturers and insurers to keep drug prices down. These incentives should be created by enhancing their liability in the open-ended catastrophic phase of coverage where their potential costs will have no limit. While there does not seem to be a scenario under which both the federal government and beneficiaries can save money without any changes to manufacturer or insurer spending, there does seem to be a potential for all stakeholders to save money if certain behavioral changes occur. The behavioral changes modeled by Milliman assumed a 5 percent reduction in non-specialty brand-name drug spending. Milliman’s analysis found that, if that change were to occur, beneficiaries, the federal government, and drug manufacturers would all save money, relative to current expenditure projections, under each of four scenarios modeled. (The analysis was done in a way that plan sponsors would be neutral under each scenario, with any increase in their liability fully passed on to the federal government and the beneficiaries. Insurers should benefit from reduced administrative expenditures, though, as a result of the simplified benefit design.) The impact of this benefit design change would allow costs and benefits to be distributed in what most would likely consider an ideal manner: targeting benefits to those most in need while spreading costs among everyone such that those with the highest expenditures see an overall cost reduction, and for those individuals who do experience a cost increase, it is minimal. Not surprisingly, beneficiaries will collectively save the most money in the scenario with the lowest OOP cap. Overall, a $2,500 MOOP would provide beneficiaries with $7.4 billion in savings over 10 years (from 2020-2029); these savings would accrue almost entirely to the high-cost enrollees through reduced OOP expenses, while all beneficiaries would experience at least some increase in premiums, though it will be incredibly small. Each beneficiary will see an increase in their premiums of only $61 over the entire 10-year window, or an average monthly increase of $0.51. Across all beneficiaries, the reduced cost-sharing expenses would more than offset the increase in premiums paid. The changes included in this reformed benefit structure will have varying impacts on the amount of total drug expenditures that the different stakeholders must incur before a beneficiary reaches the catastrophic coverage threshold. Eliminating the manufacturer rebates from the coverage gap (and thus their contribution towards TrOOP) will increase the amount of spending that must occur before reaching the threshold, but if the MOOP is set low enough below the current threshold, it will lessen the amount of that increase. Under current law, non-LIS beneficiaries are expected to incur $2,750 in OOP costs by the time they reach the threshold in 2020, at which point their total drug costs would reach $9,700. With a new $2,500 MOOP, beneficiaries would obviously reach that threshold faster than under current law, and the total amount of drug expenses expected to be incurred by that point would decline to $8,700; as a result, it is expected that slightly more non-LIS beneficiaries would reach catastrophic coverage. These beneficiaries would be protected by the OOP cap, but the other stakeholders sharing the costs of catastrophic coverage would see increased liability in that phase. With a MOOP of $3,000 or more, more spending would have to occur before a non-LIS beneficiary reached the catastrophic coverage threshold, and so slightly fewer non-LIS beneficiaries would be expected to reach catastrophic coverage. The impact is different for LIS beneficiaries, though, primarily because the ACA’s provisions to close the coverage gap did not apply to LIS beneficiaries. As a result, insurers do not cover any of the costs incurred in the coverage gap, nor do manufacturers provide them rebates. Further, all of the expenses incurred in the coverage gap by LIS beneficiaries count toward the calculation of their TrOOP, and thus fewer total expenses must be incurred before an LIS beneficiary moves into catastrophic coverage. Under current law, LIS beneficiaries will reach the TrOOP threshold in 2020 after $6,350 in combined OOP expenses and LIS cost-sharing subsidies, which correlates with an estimated $9,050 in total drug costs. Under this proposal, cost-sharing for LIS beneficiaries would decline under each threshold modeled, as the total drug costs that would have to be incurred would drop to $5,200 under the $2,500 MOOP threshold or $6,700 under the $4,000 MOOP threshold. These changes, however, would also significantly increase the number of LIS beneficiaries that reach the catastrophic coverage phase. Based on Milliman’s analysis that 23 percent of LIS beneficiaries would reach catastrophic coverage given a $2,500 MOOP, relative to 18 percent under current law, this increase would amount to 680,000 individuals in 2020 and 7.7 million over the 10-year window. The federal government would be expected to save $23.4 billion over 10 years if a $2,500 MOOP were implemented in 2020 and the 5 percent reduction in brand drug spending occurred. While total premium subsidies would increase $637.4 billion, reinsurance expenditures would decline by $473.2 billion, and LIS cost-sharing subsidies would decline by $187.6 billion. As would be expected, as the MOOP is increased, expected overall beneficiary savings decrease while federal government savings increase. With a MOOP of $4,000, the federal government would see the greatest savings ($31 billion over 10 years), but beneficiaries would only save an estimated $400 million over 10 years, as premium increases would offset nearly all of the expected reductions in cost-sharing. Drug manufacturers, as a whole, would owe $1.6 billion less in mandatory rebates under each scenario, relative to current projections, although it is highly likely that the specific manufacturers that see savings will not be the same ones that experience increased costs. There are several different behavioral changes that might occur under this reform. The high-cost beneficiaries that save money under this proposal may actually incur greater drug cost claims. This increase could be the result of greater medication adherence if an individual was not taking all of their prescribed medications because they could not afford (or otherwise chose not to pay) their share of the costs. Research has found that patients are much more likely to pick up a prescription if their OOP costs are lower; when OOP costs exceeded $250, 71 percent of prescriptions were not filled. Beneficiaries in the catastrophic phase of coverage are typically utilizing much more expensive medications: the average price of a 30-day prescription for high-cost enrollees was $193 in 2015, whereas the average cost for beneficiaries who did not reach catastrophic coverage was $34. But while medication expenditures might increase, it’s possible that medical expenditures would decrease. Studies have found that greater medication adherence is correlated with reduced medical expenditures because a person’s health is better managed, and they do not unnecessarily end up in the hospital as a result. Beneficiaries may also generate greater drug cost claims beyond the MOOP because they, as consumers, lose the incentive to use more cost-effective alternative medications. Plan sponsors, as a result of their enhanced liability in catastrophic coverage, should be incentivized to better manage their high-cost enrollees, though that may require additional regulatory flexibility to implement additional tools beyond those they have already successfully implemented. Insurers will want to find ways to counter beneficiaries’ loss of incentive to use lower-cost alternatives; such tools already at plans’ disposal include requiring pre-authorization or step therapy for coverage of higher cost drugs. While plans already apply these tools, they may increase their use, which beneficiaries may resist if the tools impose too much of a barrier to accessing their preferred drug. If policymakers take seriously the effort to reduce expenditures and use of low-value health care products, however, they will have to make trade-offs. Alternatively, current rules could be loosened to provide plans more options to control costs in ways that are less punitive or burdensome to beneficiaries. This approach could include greater formulary flexibility such as loosening the protected classes requirements and allowing more narrow coverage options in certain therapeutic classes, as recommended by MedPAC. Allowing indication-based pricing would allow plans to pay more or less for a given drug, depending on the indication it’s treating and its effectiveness at doing so, rather than having to pay the same amount even when a drug’s value in a given instance is known to be less than in others. The use of value-based insurance designs could also help plans encourage beneficiaries to use more cost-effective, higher-value treatments earlier in the year and may even prevent them from reaching the catastrophic phase altogether. Further, the reduction in the share of catastrophic costs covered by reinsurance subsidies from the federal government should eliminate, to the extent that one currently exists, the incentive discussed earlier to underestimate catastrophic coverage expenses. The possible behavioral changes hardest to predict are those of the drug manufacturers. The impact to specific manufacturers is likely to vary dramatically, depending on the types of drugs they produce and how expensive they are. Manufacturers of lower-cost drugs may end up paying rebates much less frequently, since many fewer beneficiaries using their drugs reach the catastrophic phase. Manufacturers of drugs with a price high enough that all users of it will certainly reach catastrophic coverage will likely see increased costs. Overall, manufacturers will face potentially greater costs since the mandatory rebates will be moved to the catastrophic coverage phase, which is only capped by the year’s end. Additionally, under this proposal, manufacturers would have to pay rebates for LIS beneficiaries, 3-4 million of whom are expected to reach catastrophic coverage each year. To understand the difference in liability that manufacturers of high-cost drugs will face, consider a drug priced at $100,000. Under current law, the drug manufacturer would be required to pay an estimated coverage gap rebate of $3,632. Under this proposal, depending on the MOOP, the manufacturer would pay between $8,300 and $9,300. Further, if the drug manufacturer increases the price of the drug, they would bear no additional cost under current law; under this proposal, the mandatory discount would apply to every price increase. As such, they may reduce the list price of their drug in order to reduce the amount of the rebate they must pay, although past evidence suggests that drug prices are more likely to increase as result of higher costs, absent other changes. Nevertheless, the additional scrutiny that the public and policymakers have paid to drug prices lately suggests that there will be little tolerance for continued price increases. The Medicare Part D Prescription Drug Program has been highly successful, providing millions of seniors with access to prescription drugs they would otherwise not be able to afford. Recent trends, however, reveal the need for some structural reforms to ensure the program continues to be successful in the future, in terms of access and affordability for both patients and taxpayers. Restructuring the program’s benefit design in a way that realigns incentives away from high-cost, high-rebate drugs may be the best way to reduce overall program costs as well as drug prices in other parts of the market. The Part D risk corridor program both limits plans’ profits shields plans from financial losses is actual expenditures are greater or less than anticipated in the plan bid. The current coverage gap discount program does not require rebates be paid for LIS beneficiaries; the rationale was that the rebates are intended to cover beneficiaries’ OOP costs and most of LIS beneficiaries’ OOP expense is paid by the federal government. However, this means the federal government does not benefit from the rebates. AAF estimated this cost by dividing the ten-year premium cost projected by Milliman by the estimated total enrollment during that time. Total enrollment over the 10 year period was estimated using the 2018 Medicare Trustees Report and projecting enrollment for 2028 and 2029 using the average rate of growth expected in the 10 preceding years.